Parent satisfaction surveys are very important to continue to strive for good quality education and a high involvement of the parents. 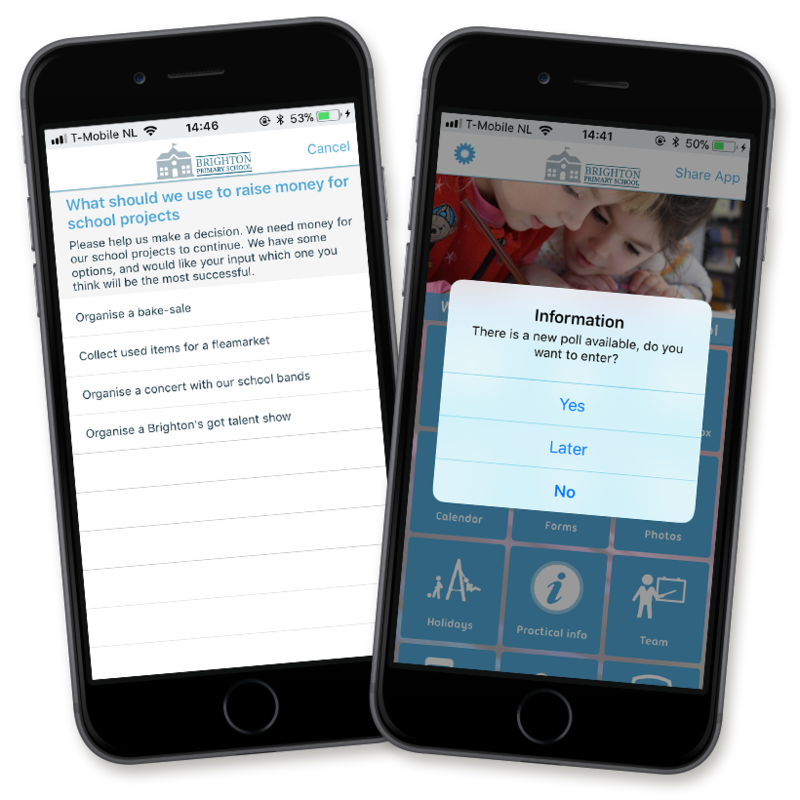 Level the opinion of parents through a survey in the app. This way you can find out where there are opportunities for improvement for the satisfaction of parents. The results are easy to see in our Content Management System, so everything is immediately digitized and the data no longer needs to be entered.